Australia is actually a huge island in itself but it is also home to some of the most beautiful island holiday destinations in the world. Surrounded by the World Heritage listed Great Barrier Reef, these island holiday hot spots offer everything from the ultimate in luxury to family friendly getaways, romantic escapes, affordable accommodation and paradise for nature lovers. 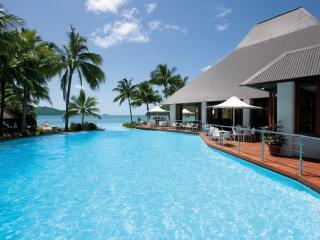 With so many top island holiday resorts in Australia to choose from, making a decision can seem a little overwhelming. However, we’ve compiled a list of the top 5 island resorts in Australia to help you narrow down your options and find the holiday that’s right for your style, tastes and budget. A hive of island holiday activity, Hamilton Island is home to a wide range of accommodation options to suit all visitors including hotels, apartments, villas, bungalows, eco-resorts, a deluxe beach club and holiday homes with easy access to a great range of facilities and activities. A haven for couples and families, the Daydream Island Resort has taken over the whole island with its stylish accommodation, excellent range of recreational facilities and friendly service. Visitors will particularly love the day spa, kids club, mini-golf course, National Park and unique Living Reef attraction. The Whitsunday’s northernmost island, Hayman is a true lifestyle escape boasting one of the most prestigious holiday destinations in Australia. The Whitsunday’s only member of the Leading Hotels of the World, this exclusive destination is the ideal place to relax and indulge. 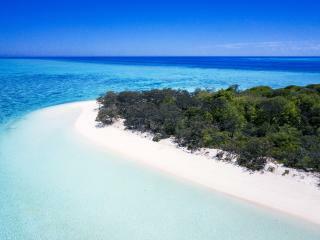 A paradise for nature-lovers, Heron Island is located on the Great Barrier Reef surrounded by soft white beaches and crystal clear water positively teeming with marine life. A protected Marine National Park, the island seamlessly blends comfortable accommodation with no buildings higher than the tree line. 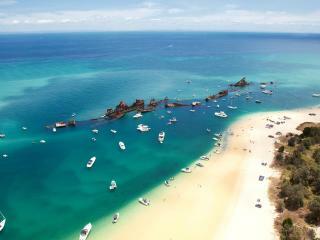 Delight in crystal clear waters, white sandy beaches and untouched national parks on beautiful Moreton Island. Located just over an hour by fast catamaran from Brisbane, Tangalooma Island Resort is situated on the western side of the island and is famous for it's many resort activities including the dolphin feeding program, sand boarding and 4WD tours.